The holidays bring warmth, togetherness and cheer. During this festive time of year, home fires also spike. Flammable materials become suddenly abundant, including ample decorative lighting, candles, cooking gadgets and indoor Christmas trees. The National Fire Protection Association (NFPA) reports that from 2012 to 2016, firefighters battled an annual 170 house fires that were sparked by Christmas trees. Not only did these fires cost $12 million in property damage annually, but they also contributed to four fatalities. 1. Put gifts under the tree instead of putting out fires. It takes less than 30 seconds for a fire caused by a Christmas tree to engulf the family room. While Christmas tree fires are uncommon, when they occur, the devastation is significant. 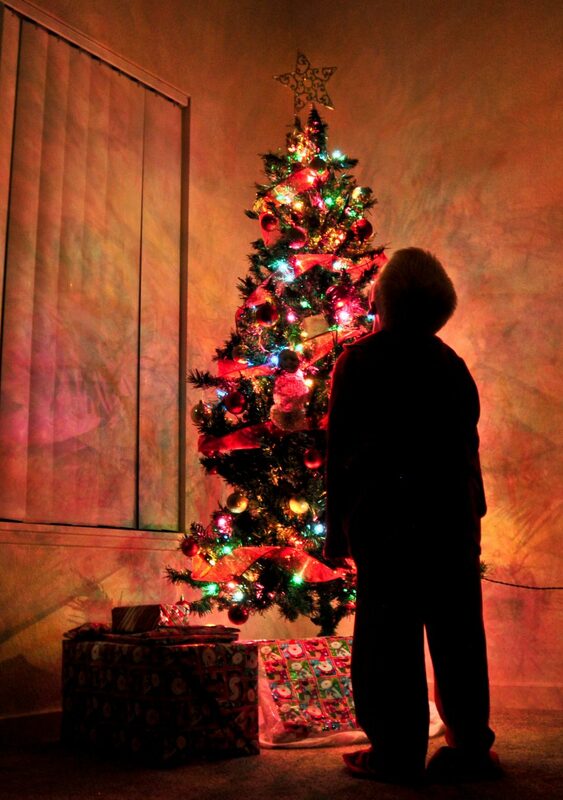 Flame-retardant artificial trees do not pose as a fire hazard. The shimmery electric lights that bring this artificial décor to life, however, are a serious danger. The indoor lights you use to string around the tree should be approved, and the box will indicate proper usage. Using outdoor lights for indoor use is risky, since outdoor lights give off more heat. Strategically position the Christmas tree in a safe space, away from devices, like the fireplace, radiator, space heaters and the woodburning stove, that can dry out the tree and spark a fire. Choose a live tree for the holidays only if you can commit to watering it daily. A dry tree is extremely flammable. 2. Ensure electrical lights bring cheer—not flames. Christmas becomes a majestic spectacle with brilliant displays of colorful holiday lights. Outdoor lights must specify exterior use. Whether the lights embellish the cozy indoors or the chilly outdoors, ensure the strands are tested for safe use by the UL or ETL/ITSNA. Use only functional lights. Worn, frayed or otherwise damaged lights should be discarded immediately. If a light strand appears shabby, toss it and replace it with a new one. 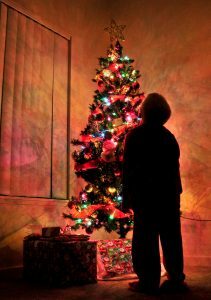 Be alert and shut off the Christmas tree lights and any holiday lighting each night. Even if briefly leaving the home, be sure to turn off the holiday lighting. Be careful to avoid overloading the electrical sockets or surge protector with lights. Plugging in too many cords can easily spark a fire or blow a circuit. While the dazzling holiday lights are a magnificent sight, experts advise the lights should be taken down within three months to avoid being damaged by pesky rodents and adverse weather. 3. Snuff out candles instead of extinguishing fires. The scent of freshly lit candles pleasantly infuses the holiday air. Candles, however, can be deadly if not carefully handled. The US Fire Administration points out two harsh realities: Christmas, Christmas Eve and New Years are the topmost days for home fires caused by candles; and two out of every five decorative structure fires are sparked by candles. Prevent a damaging house fire by handling candles with care. Keep all candles at least a foot away from any flammable materials, like curtains, the Christmas tree, furniture and bed sheets. Candles should be displayed on sturdy bases. Alternatively, place hurricane globes over the candles. Keep lit candles out of children’s reach. Allow young children to hold battery operated candles rather than lit candles during holiday events. 4. Feed the family—not the flames. Spending time in the kitchen with friends and family during the holidays brings cheer. However, baking cookies, frying the turkey and preparing heavenly meals require undue attention to prevent cooking fires. After Thanksgiving, the prime days for cooking fires are Christmas and Christmas Eve. Prevent festive gatherings from becoming distracting while cooking. It’s easy to walk away from a pot roast to tend to a party guest; in such a case, ask someone to take over in the kitchen while you step away. Cooking safety requires you to be present in the kitchen while food is cooking. Baking a pie? A timer reminds you that the oven is on and food is cooking. Set multiple timers so that you hear the timers’ buzzing above festive music or talking. Prepare the kitchen for a marathon of cooking. This means keep all flammable items away from the stove, including oven mitts, wooden utensils and towels. Prevent accidental burns in children by ensuring they remain at least three feet away from boiling pots on the stove. If your child wants to help bake cookies, give them kid-friendly duties away from the oven. 5. Prime the fireplace to nestle in the comfort of desirable flames. Many memorable holiday nights are spent in front of the toasty fireplace. Prepare the fireplace for the gift-giving season. Hire a chimney sweep to clean out accumulations of soot, which can pose as a fire hazard. Install a screen along the fireplace to prevent fiery cinders from leaping out. After unwrapping the gifts, you may have the inclination to make use of the crumpled wrapping paper—in the fireplace. Burning wrapping paper is highly discouraged. Only seasoned wood can be safely burned in the fireplace. Despite your efforts to safeguard your home from holiday fire catastrophes, sparks may fly and fires may break out. Once the fire is extinguished, contact ServiceMaster by Restoration Contractors to handle the smoke and fire damage restoration. Expert technicians from ServiceMaster by Restoration Contractors include emergency pre-cleaning in their fire and smoke damage restoration process. Soot and corrosive materials are thoroughly dislodged and removed from the premises. Smoke odors are eliminated with advanced deodorization techniques. The walls and ceilings are treated so that charred particles are no longer embedded in the structures. Fire damage can spread quickly, necessitating a call to a qualified fire and smoke damage professional like ServiceMaster by Restoration Contractors. The skilled fire damage restoration specialists recognize the urgency of rapid response and arrive onsite quickly to mitigate the fire and smoke damage. ServiceMaster by Restoration Contractors dependably serves the Fort Wayne and Northeastern Indiana residential and business communities. We are standing by 24 hours a day, 365 days of the year to respond to fire damage emergency calls. To ensure holiday safety, follow fire safety rules and keep the contact information of ServiceMaster by Restoration Contractors handy.